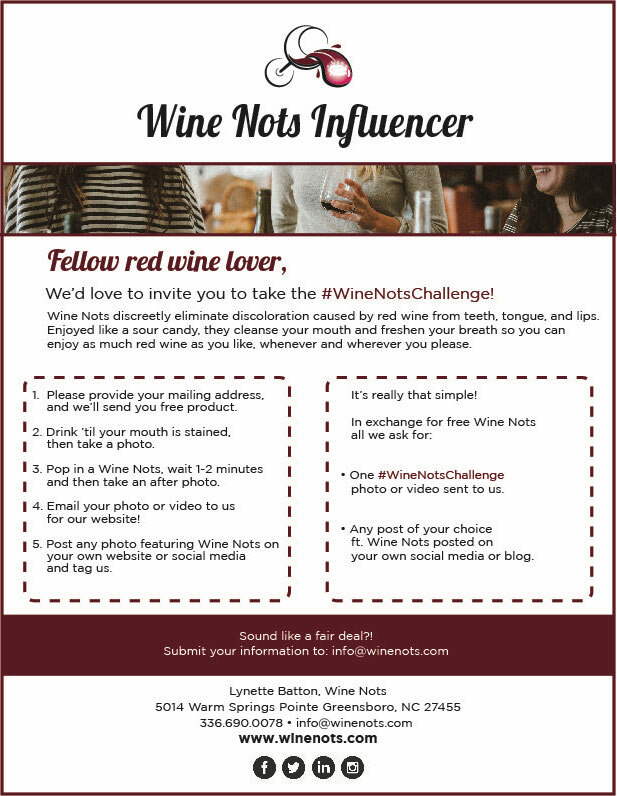 Are you a wine lover blogger vlogger influencer connoisseur wanting to feature Wine Nots on your page? We’d be happy to send you complimentary product to try in exchange for photos, videos, or a feature post on your blog or social media! We’ll send you enough to share with your friends too!